Meeting Minutes – March 2017 | F.F.A.M. 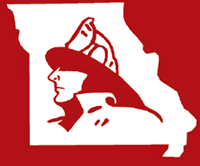 President Kenneth Hoover called the meeting of the Board of Directors of the Fire Fighters Association of Missouri to order at 9:00 a.m. Sunday, January 29, 2017 at the Missouri State Fair Fire Department in Sedalia, Missouri. President, Kenneth Hoover, Little Dixie FPD; First Vice President, Tim Bean, West Plains FD; Second Vice President, Charlie Neubert, Highlandville Rural FPD; Secretary Treasurer, Jaime Miller, Johnson County FPD; Sergeant-at-Arms, Rex Reynolds, Southern FPD of Holt Co.
District 2, Greg Wright, Shelbina FD; District 3, Larry Jones, Madison West Monroe FPD; District 4, Joe Vaughn, Pleasant Hill FPD; District 5, Terry Plumb, Southern Stone FPD; District 9, Roy Sims, West Plains FD; District 11, Monty Thompson, Kearney FPD; District 14, Rick Dozier, Southern FPD of Holt Co.
District 2, Vernon Cash, Shelbina FPD; District 3, Rob Erdel, Little Dixie FPD; District 3, Steve Gentry, Little Dixie FPD; District 5, Shelby Phifer, Southern Stone FPD; District 7, Ed Kriska, Eureka FD; District 10, Greg Brown, Eureka FPD; District 11, Ryan Miller, Norborne FPD. Past President Keith Smith, Warrenton FPD; Greg Carrell, Brenda Carrell, Missouri State Fire Marshal; David Hedrick, Gail Hagans, MU FRTI; Larry Jennings, Larry Eggen, Kathy Eggen, Blake Rasmussen, Johnson County FPD; Grant Oetting, Higginsville FPD; Billy Smith, North Central Carroll FPD; Harriett Vaucher, Eureka FPD; Doc Kritzer, FF Memorial Foundation; Logan McCubbon, Holts Summit FPD; Holden Peel, Charlie Peel, South Eastern Randolph FPD; Greg Harrell, Sedalia FD; Bill Westhoff, Lifetime Member; Donnie Rogers, Darrell Wright, Chillicothe FD. President Hoover asked for additions to the agenda. President Hoover removed the Assistant Director item from the agenda. Rick Dozier moved to accept the agenda as amended. Greg Wright seconded the motion and all approved. President Hoover lead a prayer for the recent passing of Cindy Gott of Galt FPD and past board member Harris Fieselmann of New Haven Berger FD. President Hoover asked for corrections to the December 4, 2016 meeting minutes. Terry Wynne moved to accept the minutes as presented. Larry Jones seconded the motion and all approved. President Hoover asked for a review of the November-December 2016 financial report. Charlie Neubert moved to accept the financial reports as presented. Rick Dozier seconded the motion and all approved. 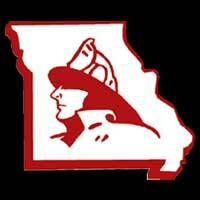 Director David Hedrick with MU FRTI reported that Winter Fire School will be held the following weekend. Enrollment numbers are about the same as last year. The equipment expo will be Friday from 12:00-9:00 p.m. Registrations are still being accepted. Fiscal year 2017 has 443 classes scheduled and about half have been completed so far. 53,000 student instructional hours have been completed. A new Assistant State Provost has been assigned to oversee MU FRTI. The Fire Service Enhancement Leadership Program started last week with 28 students enrolled. There was an Advisory Council meeting held last week which helped to identify some needs of MU FRTI. Rob Erdel is on the council and stated that he believes they are making progress to address needs in the fire service. There will be possible funding cuts due to the state budget. The Governor has withheld some general fire revenue training funds. 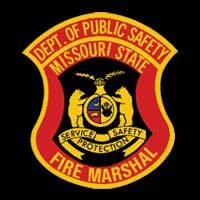 Greg Carrell, Missouri State Fire Marshal, reported that fire department registrations are due now. Mike Lukemeyer with the Division is going through the registrations and contacting departments if there are questions. The Division of Fire Safety is 80% funded by the state. Due to recent budgeted funds being withheld by the Governor, the DFS budget has been affected. Some fireworks allocated money has been carried over to cover next year’s training. The hope is to not lose any funding but if they do, it may affect the training budget. The DFS training partners are working hard to provide training through the budget cuts. He has met with the new Governor’s team and Governor Greitens is very interested in attending events throughout the state to show his support to the fire service. First Vice President Bean and Secretary-Treasurer Miller presented a dues increase proposal to the Board. The presentation included a review of the membership and revenue decline and a proposal of new benefits and a dues increase for department and active membership. Discussion followed. Greg Brown moved to present the proposal to the membership at convention. Larry Jones seconded the motion and all approved. Discussion was held on storage for the historian. Theresa Cox presented information on behalf of Kay Asher. They, along with Doc Kritzer, have been working with the City of Kingdom City to obtain a small storage space in the basement of the city hall. The City would rent an approximated 300 square foot space for $200 per month. The FFAM would need to build two walls and a door to enclose the space. The property would be strictly for the historian and not for the memorial. Concern was raised on whether the space would be completely secure. It was also addressed that this is a temporary storage situation until the museum is built as some point. Terry Wynne moved to proceed with renting space from Kingdom City in the city hall basement. Monty Thompson seconded the motion and all approved. Theresa Cox advised she would proceed with arranging for the wall building and equipment to move the items from Kay Asher’s home. President Hoover advised that an inspection had been done at the Missouri State Fair fire station and the building was found to have extensive mold issues. A water leak last winter along with the continued roof leak have exacerbated the issue. Monty Thompson advised that the roof leak issue has been discussed with the Fair for over five years. Discussion was held on how to proceed with the issue. Greg Brown moved that President Hoover contact the Fair Administration and advise them that the FFAM will not staff the facility until the mold issue is addressed and to allow President Hoover the leeway to negotiate with the Fair Administration on behalf of the FFAM. Charlie Neubert seconded the motion and all approved. President Hoover advised that all contacts to the Fair Administration by anyone other than him needs to stop immediately. Bill Westhoff presented a proposal to the Board to develop a new FFAM history publication that would incorporate his Histories Corner newsletter articles along with other information into a bound book that would be available for purchase. Discussion followed. The topic was tabled until the next meeting to allow the Board time to review the proposal. Larry Jennings advised that awards deadline is February 28. Rex Reynolds advised he would be set-up Friday and Saturday during convention for delegate registration. David Hedrick advised that the Chaplain Corp would have a booth at Winter Fire School for those wanting more information. 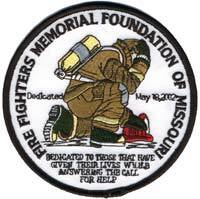 Their annual convention will be May 1-2 in Arnold, Missouri. Rob Erdel advised that the contest registration deadline is now the Wednesday prior to convention and not the Friday before contest. Larry Jennings, chairman of the 2017 convention committee, advised that four classes will be offered on Friday of convention including the Board of Directors class, Recruitment and Retention, Introduction to Public Safety Officers Benefits and a Pipeline Safety class. The vendor expo will be on Friday and will be open through opening ceremonies. Monty Thompson challenged all Directors to place a $25 business card ad in the convention book. Rick Dozier advised to contact the committee if you have any classes you would like to see the FFAM host. There has been an increase in the number of participants registered in the Recruitment and Retention class at Winter Fire School. Greg Brown advised that $196k in firefighter training funding has been withheld due to the budget. The new Governor’s budget will be out this week. Labor issues are moving rapidly through the legislation. There will be a hearing in the house on Wednesday. HB 303 establishes the offense for filing false documents with the recorder of deeds, HB 334 regarding changes in the laws pertaining to 9-1-1 communication services and HB 426 with modifications to the LODD benefit are all in the works. Charlie Neubert advised that Secretary Miller is currently working on membership renewals so the current numbers are down. 199 Directors/Councilman; 147 Retired; 8 Associate; 7 Sustaining; 9 Corporate, 172 Departments; 2898 Active; 10 Educational; 21 Juniors. Keith Smith advised that Districts 1, 3, 7, 11, 14 and the Executive Committee are up for re-election in 2017 and all current Directors have expressed intentions to seek re-election. Information pertaining to the Executive Committee positions would be provided at a later time. Keith Smith advised he would be attending the spring meeting and visiting with state legislators. Grant Oetting advised that scholarship deadline is February 28. Monty Thompson advised that the 2017 State Fair is August 10 – 20. Applications are due May 1. 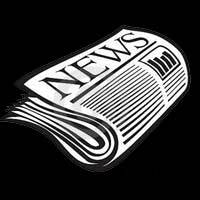 Secretary Miller advised the next newsletter deadline is March 1. Harriett Vaucher advised that two retirees passed away this week and the team assisted. Keith Smith advised that 30 will be honored during the memorial service May 20 – 21. The keynote speaker will be Brian Zianni. Engraving numbers are down with only 20 received so far. March is the deadline. Charlie Neubert moved to adjourn the meeting. Rick Dozier seconded the motion and all approved. President Hoover adjourned the meeting at 12:00 p.m.